If you are looking to sell your Rolex Pearlmaster, get in touch with one of the trusted London watch buyers, The Luxury Hut. We provide our customers with a secure and quick service to sell Rolex Pearlmaster watches with confidence. We buy all models of Rolex Pearlmaster, be it is in 18ct gold or solid yellow/white or Everose gold with different dial colours and bezels, of both men and women. ‘Where can I sell my Rolex Pearlmaster for cash?’ or, ‘What is the best place to sell Rolex Pearlmaster?’ the one answer should be– at The Luxury Hut. Begin the process by filling up our online form and receive a free valuation for your used Rolex Pearlmaster. Here at The Luxury Hut, we purchase only authenticated and genuine watches. Our experts may assess all essential aspects to ensure your watch’s authenticity before making an offer. How to Sell a Rolex Pearlmaster for the Best Price ? Rolex launched the Pearlmaster as the crowning jewellery timepiece of the brand. With soft curved lines design and rich dials, the watch displays its manufacturer’s proficiency in combining the art of detailed jewellery with technical innovation. The Rolex Pearlmaster features magnified Cyclops lens that gives burden less view to the wearer of its exquisite setting and movement. As with any Rolex timepiece, a Rolex Pearlmaster watch also retains its value over the years. But before you dive into selling a Rolex Pearlmaster for cash, make sure that you have the original box and papers. Papers may include your timepiece’s warranty card, receipt, manual as well as servicing documents (if any). While the box and papers may help you to obtain the highest possible value of your pre-owned Rolex Pearlmaster, it also ensures the buyer of your timepiece’s authenticity. Moreover, keeping a luxury watch in its box may prevent it from damages that can have a direct impact on its resale value. Nevertheless, you can indeed be able to sell Rolex Pearlmaster without them. The condition of your pre-owned Rolex watch may also significantly influence its value. If you are looking to sell old Rolex Pearlmaster for cash, make sure to ascertain about its wear and tear. Sometimes, a Rolex watch that has not been worn and kept safely for many years can worth a lot as it is necessarily an old watch in mint condition. How much can I get after selling Rolex Pearlmaster ? While you may choose to sell a Rolex Pearlmaster to raise some quick cash that is quite a popular choice, others may sell it for investing in a new model. Whatever your reason is, sell your luxury watch to us at The Luxury Hut. Not only do our in-house watch specialists have decades of experience and knowledge in dealing with second hand luxury watches, but we also pride ourselves in rendering a convenient and secure way to sell old Rolex Pearlmaster for cash. Although the price of an old Rolex Pearlmaster model may vary dramatically from one dealer to another, The Luxury Hut always provide customers with the most competitive and fairest market price for their pre-owned luxury watch. Complete our online form to know the actual value of your Rolex Pearlmaster or call one of our experts for instant appraisal over the phone. 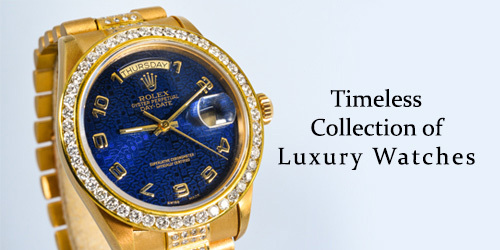 The Luxury Hut is the best place to sell Rolex Pearlmaster easily and straightforwardly. If you are searching online ‘place to sell Rolex Pearlmaster’ or ‘sell my Rolex Pearlmaster near me’, you will find many online watch buyers; however, look no further than The Luxury Hut. We have been trading in the second hand luxury watch industry for many years. Our process of selling is fast, secure and confidential. You can safely sell Rolex Pearlmaster online to us, or visit our brick and mortar office at Hatton Garden, London (by appointment) with your luxury watch. 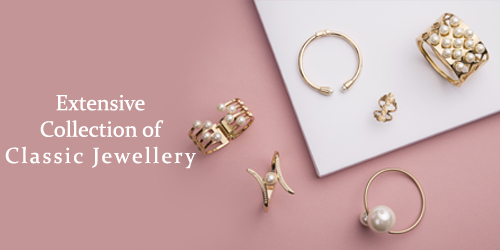 Whether you want to sell a yellow gold Rolex Pearlmaster or an Everose gold Rolex Pearlmaster, we will offer you a free valuation with no obligation. Simply provide us with information about your second hand Rolex Pearlmaster as much as you can; so that we can be more accurate on the quote you obtain. We will take into account the relevant factors like the age, condition, box and papers and others when determining the final value for your used Rolex Pearlmaster watch. If you want to know more about our selling process or get expert advice on selling a Rolex Pearlmaster for instant cash, call us on 0207 242 5411 or email at [email protected] or fill up our online form for a professional valuation at no cost to you.